Contact us today and learn how Panther's Predator can immediately elevate your manufacturing, distribution, or fulfillment processes to increase throughput, reduce expenses, and decrease waste/loss for your business. The Predator can accommodate up to a 58” standard tamp stroke length. 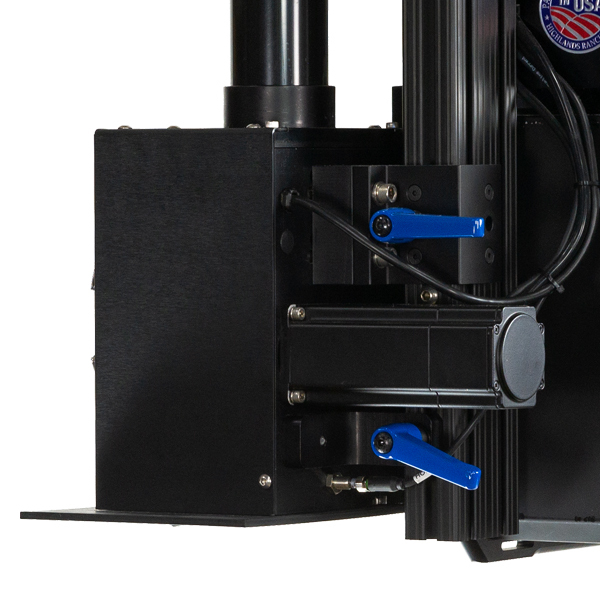 With up to a 18” reach, the Predator’s swing arm configuration is ideal for case, pallet, and package applications. 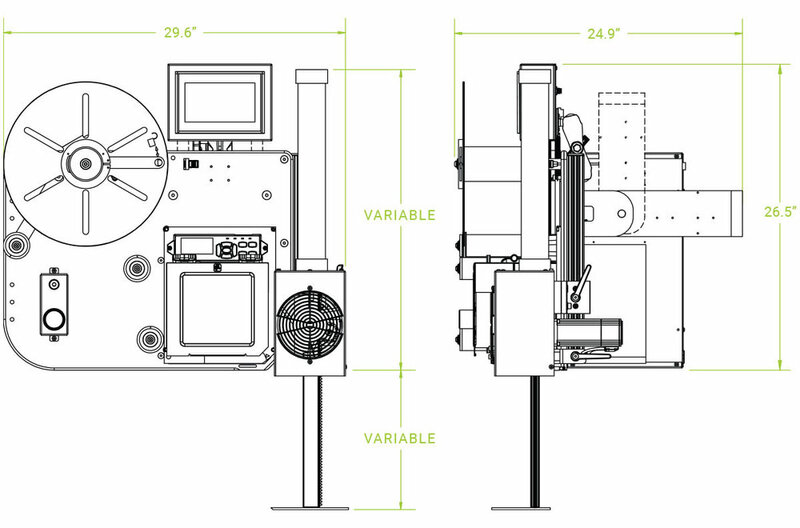 Remote-mounted 7” touch screen display, low label sensor, and various OEM print engine options. Applicator assembly is adjustable, allowing for easy and efficient maintenance. Engineered and assembled for speed, accuracy, and adaptability, the Panther Predator has the power to increase your throughput. A straight tamp, linear applicator for top and side label applications – stroke length up to 58”. This configuration will print and apply both the pack slip and shipping label in a single stroke.